From The Pioneers: Nanonics Imaging's pioneering efforts in the integration of AFM and Raman began over a decade ago in 1999 with the first installation of such a system with a commercial Raman spectrometer in Chalmers University of Technology in Sweden. From this beginning, a Nanonics system was used in 2001 for the first Tip Enhanced Raman Spectroscopy (TERS) publication with a commercial system. This publication used a unique probe developed by Nanonics that provided high dielectric contrast gold nanoparticle glass probes with no Raman background. Since then, installations of Nanonics' singular offerings of this combination of imaging modalities have occurred throughout the world. Nanonics systems are viewed as the most synergistic combination of AFM with optics with its integration of all forms of AFM with Raman being a "jewel in its crown". Leadership in innovation was and is needed for the continual evolution of this technique and Nanonics through its focus on innovation and excellence has evolved a MultiViewTM scanning probe microscopy product line with singular capabilities hallmarked by non-interfering seamless integration, proven TERS, a NanoToolKitTM of Raman friendly and Multiprobe friendly Full ViewTM functional OptoProbesTM which make Nanonics the leading supplier of AFM Raman/TERS in the world. The list below is a summary of these unique features of Nanonics AFM Raman/TERS systems designed from the bottom up from unique technology in the microscope to singular technology in the probes. The MultiView 2000TM series is an advanced single probe scanning probe microscope enabling a variety of modes of AFM/SPM/NSOM imaging. 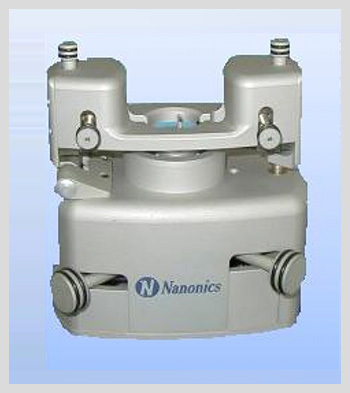 Nanonics has designed The MultiView 2000TM for excellence in scanning probe microscopy while allowing for near-field and far-field optical NSOM/Raman imaging without perturbation. The MultiView 2000 is the only commercially available instrument that offers both tip and sample scanning. This versatility is important for different operation modes where the user can now choose whether the sample or tip is static. The MultiView 2000 further offers the most stable feedback mechanism available in the form of normal force feedback with tuning fork actuation. 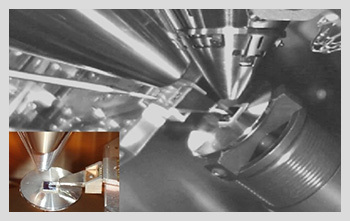 This feedback mechanism offers the most stability, as well as laser-free operation for the most sensitive experiments. The award winning MultiView 1000TM is an entry-level system that fully integrates all forms of scanning probe microscopy (SPM) with conventional optical microscopy. 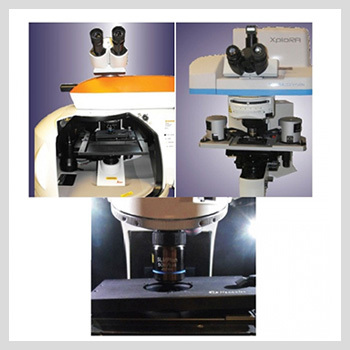 The MultiView 1000 system provides a cost-effective scanning probe microscopy solution complete with advanced scanning probe microscopy features. The design of the MultiView 1000 emphasizes ease-of-use so that customers with any technical background can quickly make scanning probe microscopy measurements. This system can also be easily upgraded to more sophisticated measurements such as NSOM and AFM-Raman. The AcademiaTM is an affordable AFM system with all the functionality of a research AFM microscope which can function effectively for teaching laboratories. The AcademiaTM system itself can be upgraded at any time to include the additional functionality of any of the Nanonics Microscope range. After carefully reviewing the needs of our customers, the Nanonics team of designers and scientists have put together a package designed to meet the three criteria of reliability, simplicity and affordability. 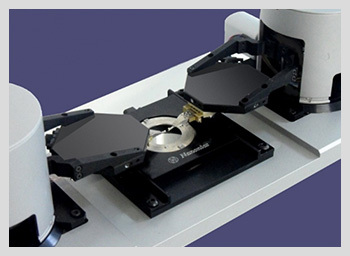 With the AcademiaTM AFM head, the customer receives a complete package consisting of AFM controller, familiar LabVIEW based software package, computer and binocular optical microscope for viewing the sample during the scanning process. Also provided are suggestions for experiments for teaching AFM with the open architecture that allows for full optical view of all AFM operations. The integration of multiple probes in scanning probe microscopy (SPM) has been a dream since its earliest days of development. Nano-structure research using atomic force microscopy (AFM) has stimulated a desire to both investigate and manipulate samples with micromanipulation capabilities in various contact scenarios. 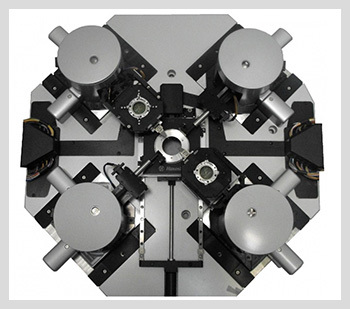 With the development of the MultiView 4000TM, Nanonics Imaging is the first manufacturer to realize the dream of SPM multiprobe imaging with independent micromanipulators and imaging. The MultiView 4000 enables the utilization of up to four probes for independent imaging and micromanipulation of a sample. As in all Nanonics' systems, the patented, award winning 3D FlatScanTM scanner technology is used in concert with cantilevered, optically and spatially friendly probes. This allows for maximum flexibility with the ultimate resolution achievable in scanning probe microscopy. This flexibility is highlighted by the ability to transparently combine SPM with other optical and electron/ion optical systems. This includes combination with upright, inverted or dual microscopes for NSOM and SNOM as well as with Raman and TERS microprobes, SEM, FIB and SEM/FIB. This allows one to combine online, chemical and other complimentary information, which is often critical in materials characterization. 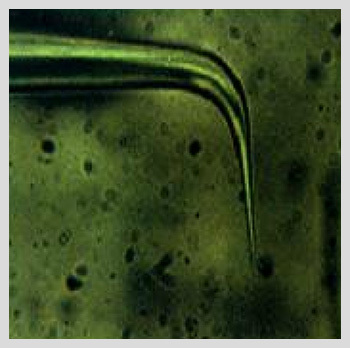 The HydraTM is a new revolution in the Bio AFM market that allows integration with any upright or inverted microscope. TheHydra'sTM open design can be integrated into any microscope (unlike other BioAFMs which are limited by geometric or optical obstruction), including advanced concepts in optical microscopy such as 4pi configurations and many non-linear optical protocols. The HydraTM incorporates tuning fork feedback mechanism, which provides UltraSensitive Liquid CellTMoperation for new sensitivities in AC force spectroscopy. Its Tuning Fork Liquid CellTM also permits Nanonics to offer MultiProbe Atomic Force Microscopy to the Bio AFM researcher allowing for new directions in Bio AFM imaging and nano-manipulation..
Nanonics Fountain Pen Nanolithography (FPN) MultiProbe system is the first SPM platform capable of both chemical nanolithography and online imaging with multiple probes. MultiProbe SPM lithography provides two completely independent SPM probes. In this configuration, either both probes can write, using two different materials, or one probe can “write” while the other probe can "read" or image the deposition with a high resolution AFM probe without moving the sample or exchanging the probe. The MultiProbe system has a modular design and can be upgraded to up to four SPM probes. FPN uses Nanonics' patented capillary nanopipette probes for the addition and removal of chemicals with the unparalleled controlled and positional accuracy of an atomic force microscope (AFM). The 3TB4000 is an award-winning SPM/NSOM system seamlessly integrated with SEM/FIB. This instrument is based on a revolutionary design that provides open access to the SEM/FIB beams for complete integration of SPM, SEM and FIB. The SPM probe does not obscure the electronic or ion beam axis and also sits at the eucentric point, enabling the SPM to rotate into position while either the electron or ion beam is in operation. 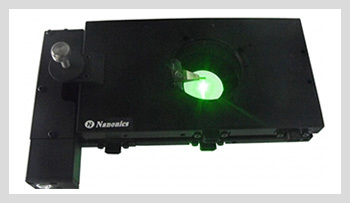 Nanonics carries nanophotonics characterization to new heights with The Optometronic 4000TM. Photonics and plasmonics nano characterization today demands the ability to integrate multiple functions transparently and with modularity on one platform. The Optometronic 4000TM combines Nanonics' revolutionary Multiprobe near-field optical NSOM SNOM and atomic force capabilities with Nanonics' state of the art lensed fibers and highly compact lensed fiber NanoManipulators, branding the Optometronic 4000TM with the mark of excellence and innovation that is Nanonics. 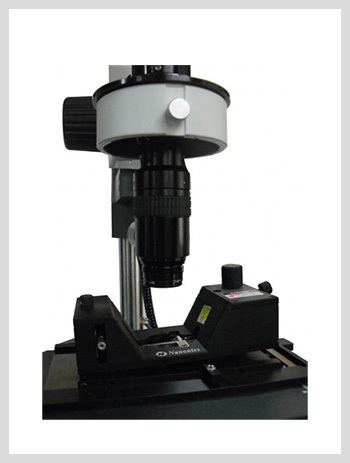 Optometronic 4000TM is an ideal nano photonics meteorology platform for nanocharactarization and manipulation for variety of nano photonics NSOM SNOM applications such as lasers, photonics waveguides, solar cells, hybrid photonics and plasmonics devices, etc. The Nanonics CryoView MPTM system is the first MultiProbe scanning probe microscopy system at low temperature of 10K. Its modular design incorporates up to three independent SPM probes and additional nanomanipulator. The system allows for variety of SPM modes including MFM, KPM, EFM, Spreading Resistance, SThM and other functional imaging modes. 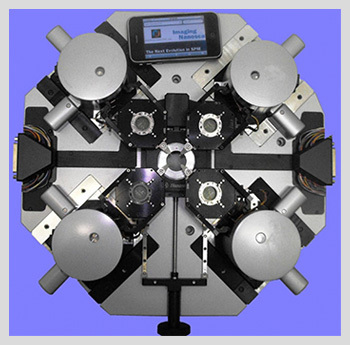 In addition, its friendly geometry allows for integration with upright, inverted and dual optical microscopes with free optical access from above and below which permits for various AFM online integrations such as NSOM SNOM, Raman, TERS, Fluorescence, Confocal, etc. 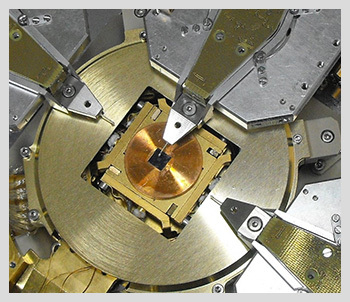 The Nanonics CryoView Multiprobe system provides a unique SPM platform for studying variety of sample such as magnetic materials, 2D material of Graphene and MoS2, electrical and thermal measurements at low temperature of 10K and high vacuum of 10^-8 torr.